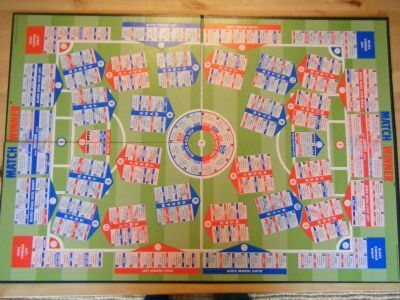 A very original idea based on a football commentary - each move is described like a radio or TV commentator. 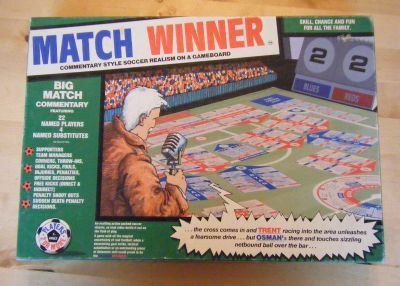 Great idea, great game. A colourful but poor quality illustration for this game. 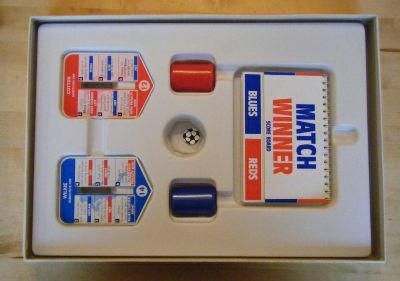 As well as a pitch there is a scoreboard, substitute cards and a ball marker plus dice and cups. 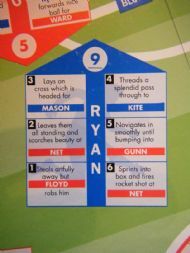 Fabulous playing pitch with space for named team players. 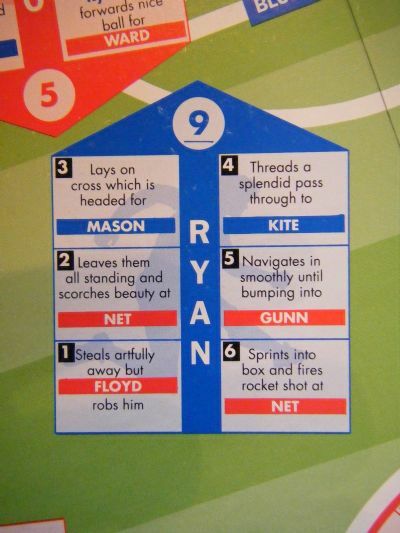 Each players actions are determined by the roll of a dice. 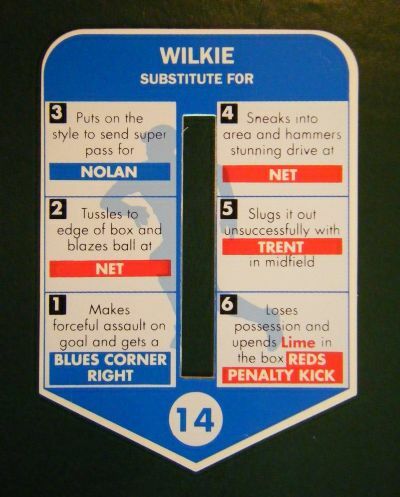 By rolling a dice you deterine the outcome of the players action - pass to a teammate, get tackled etc. 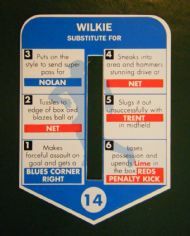 To add variety substitute cards can be placed over the original player spaces on the board.